This is the last away shirt under Adidas era from the 1980s till 1990s. This shirt was used in season 1995-1996 only. It still retains the early 1990s main theme of green white colour combination, but in the form of alternate quarters. Unlike the other player shirts which comes with bigger Carlsberg sponsor, this shirt has a very different authentication feature. 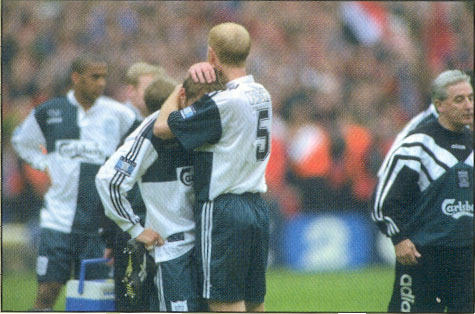 Featured despondent Liverpool players wearing the 1995-1996 away shirt in the FA Cup Final 1996 - the last match this shirt was worn before retirement. 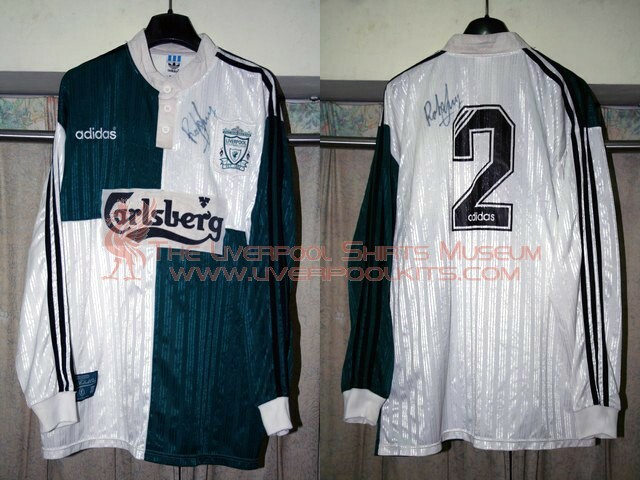 1995-1996 Liverpool Away Player Shirt - This number 2 shirt belongs to Rob Jones and comes with his autograph on the backside. 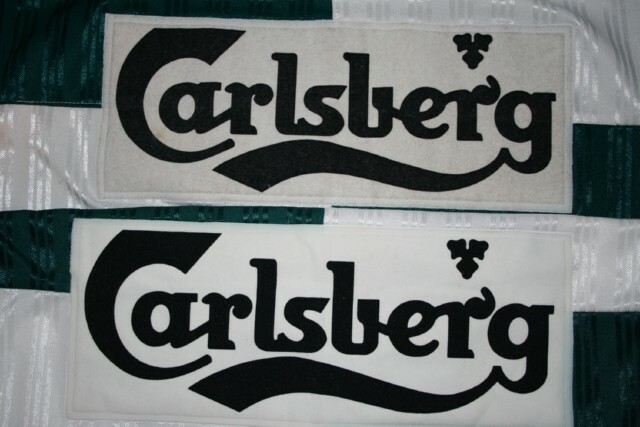 Instead of player shirt having bigger Carlsberg sponsor, it rather has a smaller rectangular box area for the sponsor logo. 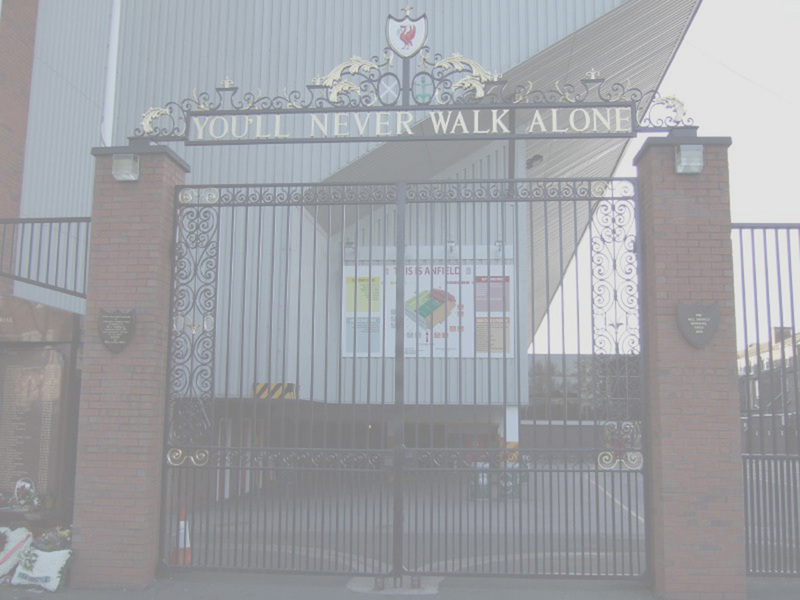 The above picture shows the relative size difference - upper portion is the genuine player shirt and the bottom portion is a replica shirt. 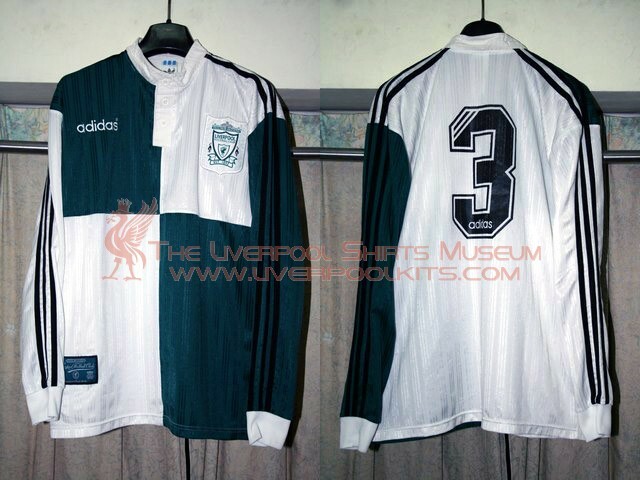 1995-1996 Liverpool Youth Away Player Shirt - For the Liverpool Youth Team playing in the FA Youth Cup, the Carlsberg sponsor logo is banned from appearing on broadcasted match.